In your Nimble account, have your account administrator go to Settings >> Billing. 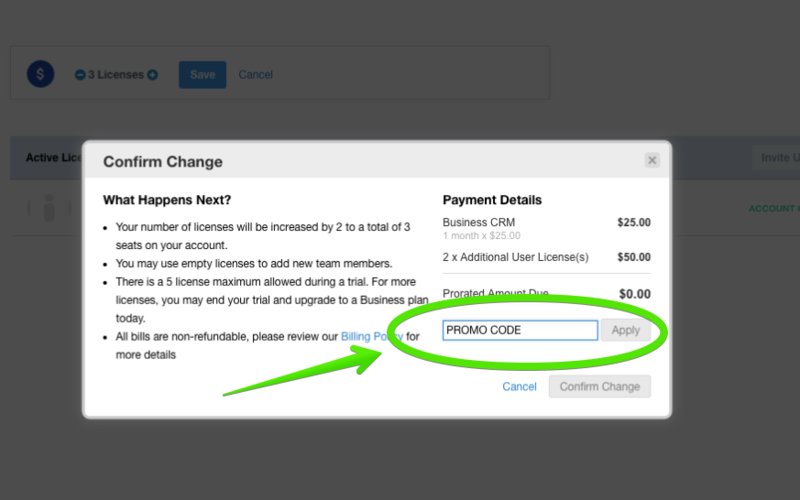 Enter your account payment information in the "Enter Promo Code" box. Confirm your payment details, and that's it! Select the account upgrades you would like to add for this promotion, such as additional user licenses, contacts, or storage upgrades. 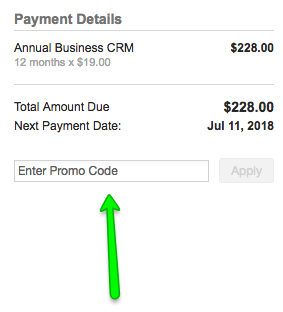 On the upgrade payment confirmation screen, enter your promotion code. For more details about Nimble billing, please review our Nimble Billing Policy. We're happy to help! Write us at billing@nimble.com.